Where is Alameda West Storage located? Our facility is located at 10131 Coors Blvd NW in Albuquerque, NM 87114. We’re nestled just between the Lowe’s and Albertsons off Coors Blvd, with access from Old Airport Rd. Our staff is available Monday through Friday from 11:00 a.m. to 5:00 p.m. and from 9:00 a.m. to 5:00 p.m. on Saturdays. Our office is closed on Sundays. If you’re unable to contact us during those times, leave us a message or fill out our online form and we’ll be sure to get back to you as soon as possible. Why choose Alameda West Self Storage? At Alameda West Self Storage, we take pride in serving our customers' needs professionally and with courtesy. We offer a convenient location with competitive pricing on all size units. There is no deposit required at Alameda West Self Storage and we offer auto payment and insurance for your convenience. You will have access to your unit between 6:00 a.m. and 9:00 p.m. seven days a week! So if you’re not able to visit the property during your working hours, there’s plenty of time early or later in the day, as well as over the weekends. We take the safety of your belongings seriously. To keep your things secure, our facility has a gated entry, perimeter fencing, and security cameras. We also have a resident manager, so there’s always someone keeping a watchful eye on the property. Are you near Rio Rancho, NM? Yes. Our storage facility is three miles from Rio Rancho, less than ten minutes away. Contact us today to get your storage unit ready for use! Do you offer truck rental services? Excellent question, and we’re happy to say yes! 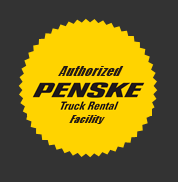 As an authorized Penske Truck Rental facility, we can help make your storage experience as convenient as possible. Stop by or call today to learn more about our available services.